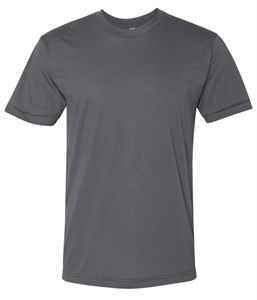 You’ll never want to take off this ultra-soft, ultra-comfy custom tee made with 50% polyester/50% cotton. You’ll never want to take off this ultra-soft, ultra-comfy unisex custom t-shirt. This custom t-shirt delivers a durable construction with shoulder-to-shoulder tape and a 7/8” seamed collar, 1” blind-stitch sleeve hem and a 1” double-needle bottom hem. 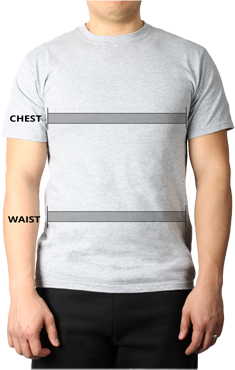 Fit: This custom t-shirt delivers a slim fit.